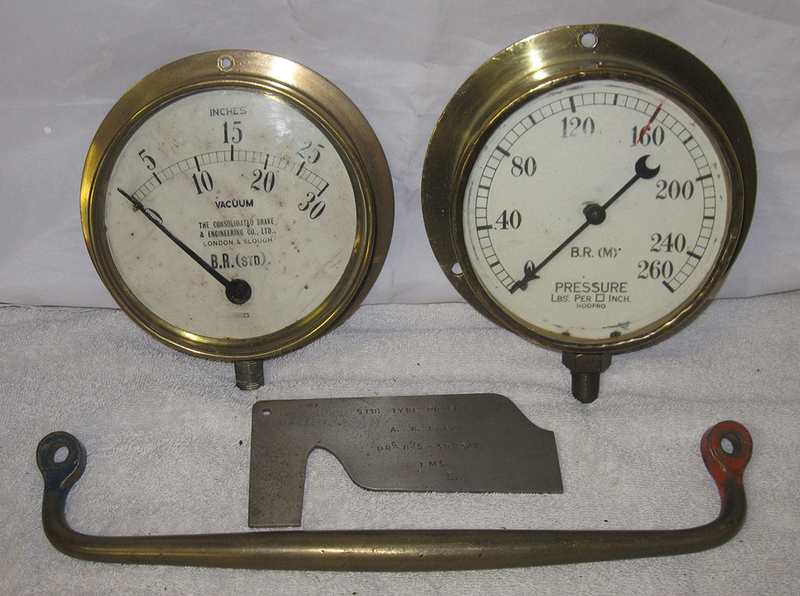 A Lot Containing Two Brass Pressure Gauges. BR(M) 0 - 260 Psi Loco Gauge. BR Vacuum Brake Gauge 0 - 30 in Together With A Brass Carriage Handle And A LMS Std Metal Tyre Profile Gauge. 4 Items.